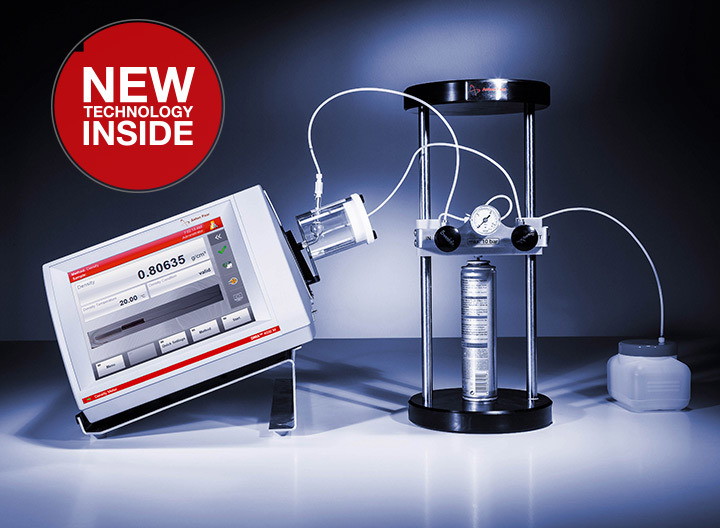 The patented Pulsed Excitation Method makes DMA™ 4500 M Chemicals the density and concentration meter with the highest reliability, precision, and robustness available on the market. 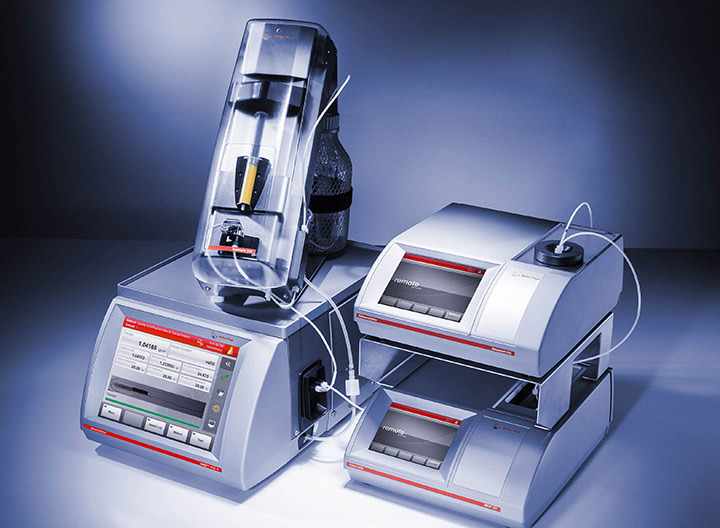 Its dedicated and compact feature set ensures concentration measurement at its safest and easiest. 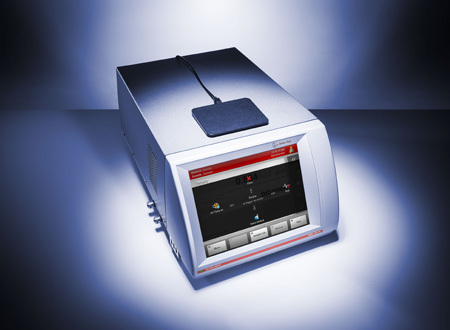 Concentration readings from 0 %w/w to 100 %w/w of more than 140 chemicals are available in next to no time while the non-destructive measurement only requires 2 mL of sample and no consumables. Due to the new condition monitoring and FillingCheck™, it also sets new standards in terms of intelligence and usability as both the instrument’s own as well as the sample’s conditions are supervised in real-time. 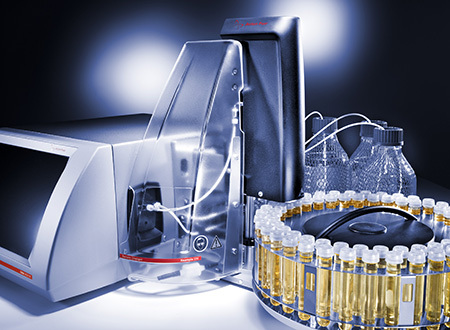 It’s concentrated – DMA™ 4500 M Chemicals comes with more than 140 built-in conversion tables covering salts, acids, alkalis, alcohols, sugar, and many more. Individual tables can be added at any time. 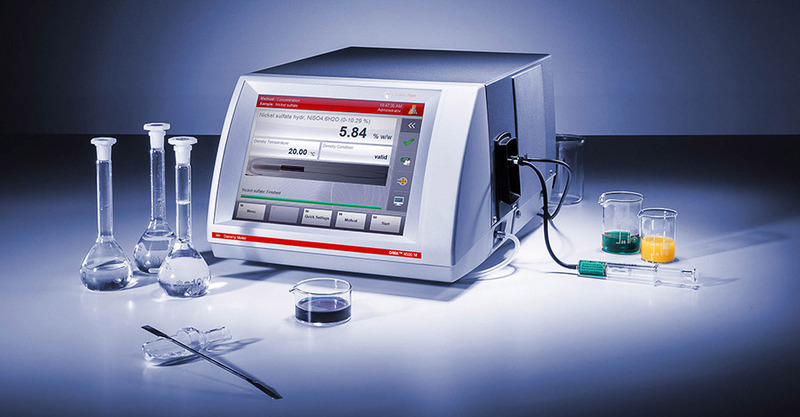 Lab personnel can handle the concentration meter after a minimum of training. 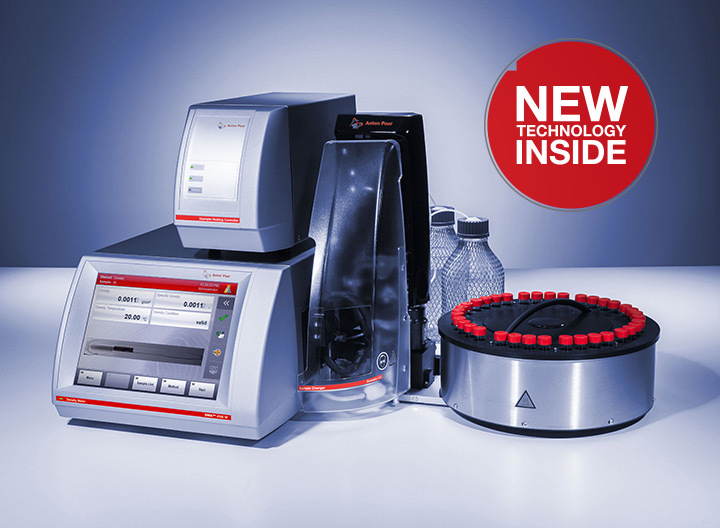 Only 2 mL of sample volume and no further consumables are required. The measurement itself only takes 30 seconds. DMA™ 4500 M Chemicals provides stable results under varying conditions, such as humidity, temperature, and air pressure. Its housing withstands shocks, dirt, and spillages. Even frequently changing users and filling styles do not influence the measurement results. 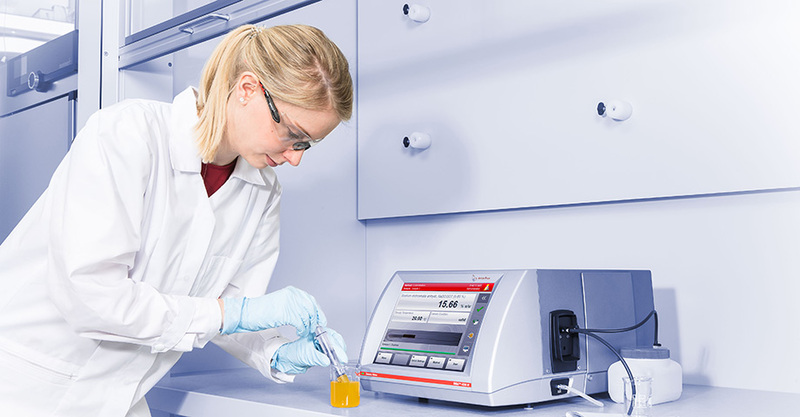 Monitor your sample handling with the FillingCheck™ feature that helps you detect filling errors, gas bubbles, and particles in the sample. 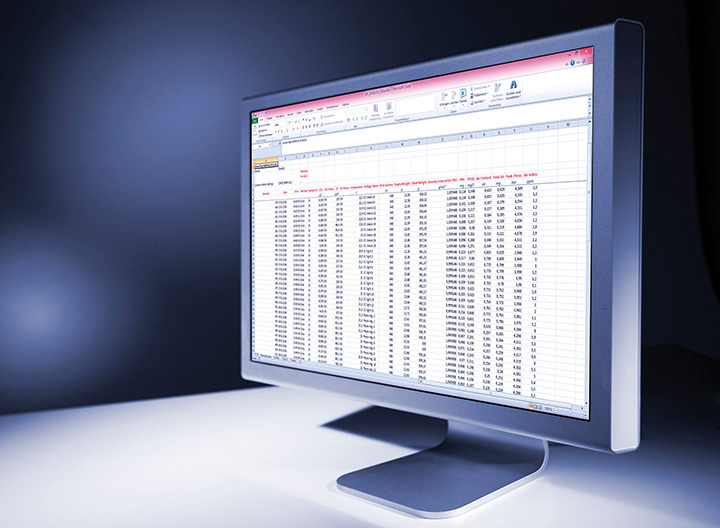 FillingCheck™ generates and records filling warnings and U-View™ documents the incident – it displays the image of the entire filled sample on the screen and stores it together with your result. 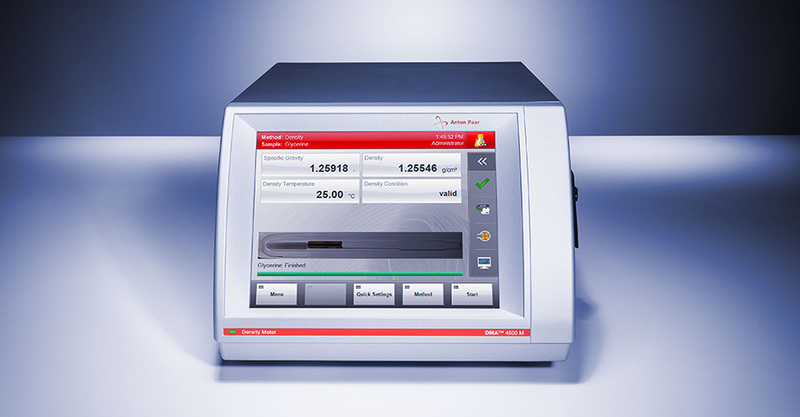 Both features in combination supervise the entire measurement sequence and allow later verification of the results, which is particularly useful when you use automatic sampling systems. DMA™ 4500 M Chemicals is made for aggressive chemicals such as concentrated acids or bases. 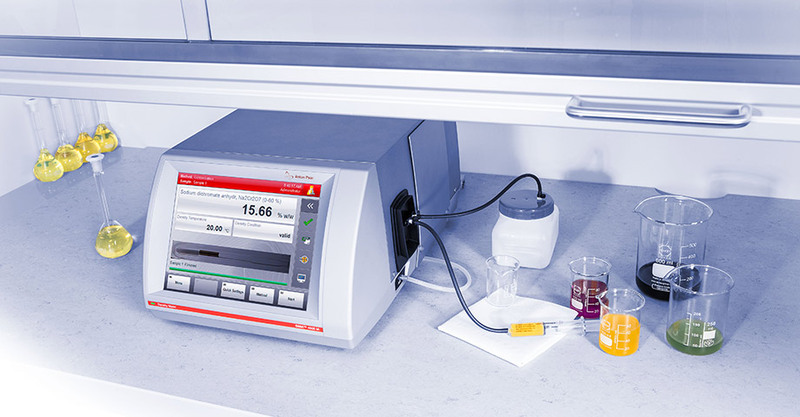 The density meter uses PCAP touchscreen technology with a chemically hardened glass surface providing unmatched sensitivity and robustness at the same time. The measurement cell is made of glass and the filling adapters are made of Teflon. Maximum protection is guaranteed. 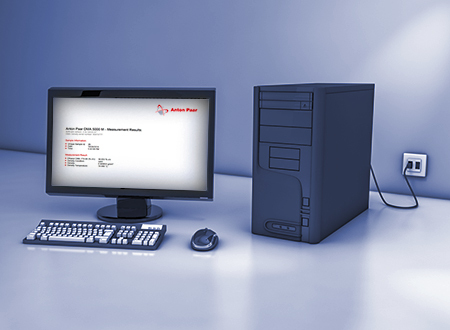 The density reading is automatically converted into a concentration value and this eliminates human errors. 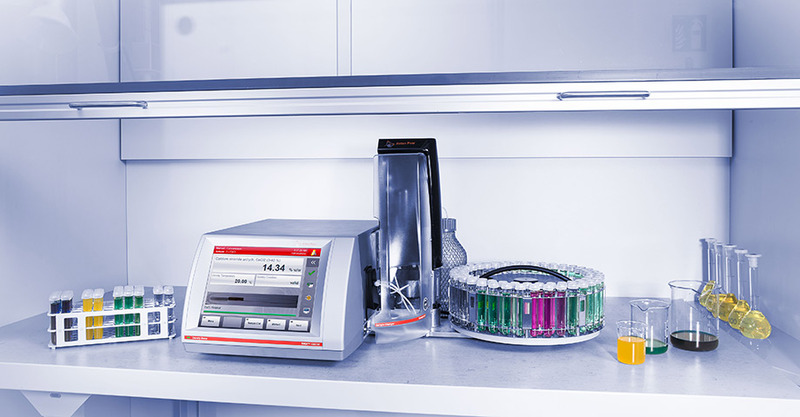 There is no need to change the measuring setup, even for the full concentration range, so the instrument is immediately ready to go whatever concentration your sample has. 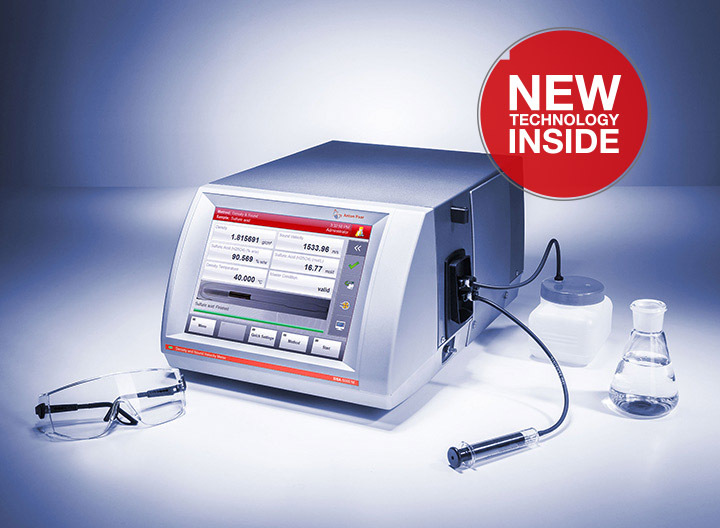 Perform measurements manually or use a sample changer to handle higher sample throughput.